Reduce Energy Bills & Keep your Home Warmer! Properties lose a lot of heat through their windows. But double glazing and modern energy-efficient glazing options keep your home warmer and quieter as well as reducing your energy bills. 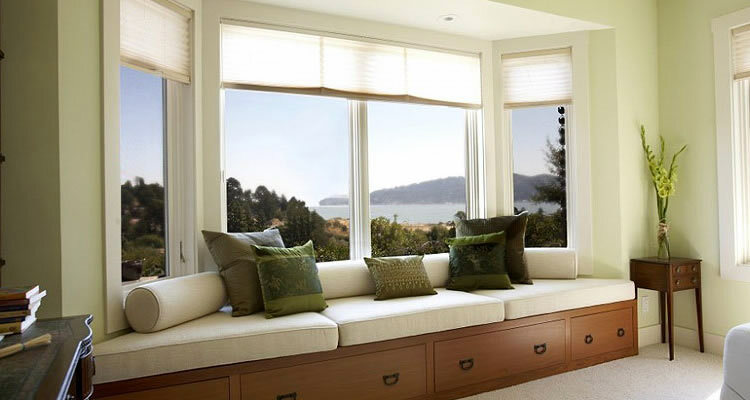 Energy-efficient windows mean smaller energy bills, a smaller carbon footprint, a more comfortable home, more peace and quiet:, plus reduced condensation. Double-glazing uses two sheets of glass with a gap between them to create an insulating barrier and come in a range of frame materials and styles. The most energy-efficient glass for double glazing is low emissivity glass which has a coating of metal oxide that lets in light and heat but cuts the amount of heat that can get out. Frame materials include uPVC, Wood, Aluminium or Composite. uPVC frames last a long time and wooden frames can have a lower environmental impact but require maintenance. Aluminium or steel frames are slim and long-lasting plus they can be easily recycled. Composite frames have an inner timber frame which is covered with aluminium or plastic to give the best of both worlds. If fitting more efficient double or triple glazing, remember that your replacement windows will be more airtight than your original frames, so condensation may build up due to the reduced ventilation so choose replacement windows with trickle vents incorporated into the frame to let in a small amount of controlled ventilation. If you live in a conservation area or a listed building there may be restrictions on what windows and glazing you can choose. You need to check with your local council to see what options are available to you. Often any work you carry out must preserve or enhance the character of the area, so modern double glazing will have to be made to look like your building's original windows. Listed buildings have very tight controls on what you can change depending on their grading. Old sash windows in historic properties are often protected not just in terms of appearance but also the actual materials used. But you can source new double glazed windows with timber frames in the same sash style which many local authorities are happy with, prices are expensive but this may be the only option to be granted permission. If you can't install double glazing then secondary glazing or heavy curtains are the other options. The average window replacement cost for a typical three bedroom terraced house is around £7500, but the actual price will depend on the size and number of windows, whether single, double or triple glazed, the type of glass and the material used for the window frames (usually wood or uPVC). In England and Wales, you can ensure your windows are fitted to the government's building regulations standards by choosing an installer who is registered with one of the official Competent Person schemes. If you use an installer who isn't registered with one of these schemes, you will need to apply for building control approval before installing the window. Make a short list of installers in your area by using the free quote service on this site, simply click the "post your job" button to get at least 3 detailed quotes for your glazing work. Ask also for referrals from previous customers that are happy with the work they have done and check that the guarantees offered are insurance backed for peace of mind.